This modern Licensed Post Office is fitted out to Australia Post requirements. Situated in a sought after area with a good mix of both retail and business. Commissions are around $195,000 with good shops sales. This outlet is an EIS outlet which allows electronic submissions for ID services allowing for more services in the future, E parcel lodgement point all normal Post Offices services including Passports working with children etc There are 308 boxes installed with 24 hour access. Rent $362 per week plus GST. 5X5X5 Lease. This business is ideal for a couple to run. Well situated in a very sought after location with a village type atmosphere This business is well positioned with excellent parking in busy shop precinct. This 3 Terminal Post office is continually showing solid growth and performs the full range of Post Offices services including Passports and working with children interviews as well as a comprehensive range of ID Checks, EIS services etc. It is a large shop with a good presentation and display area. There are 561 boxes installed and plenty of storage. Commissions are in excess of $259,000. This business is ideal for a couple to run. 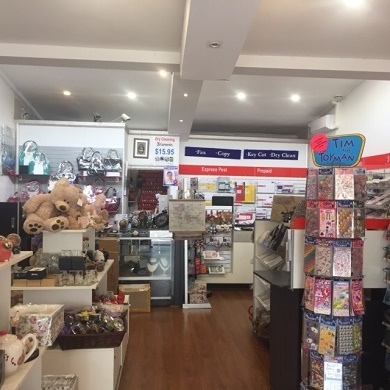 This busy Eastern Suburbs Post office is continually showing solid growth and performs the full range of Post Offices services including Passports and working with children interviews as well as a comprehensive range of ID Checks. The shop is well presented and there is a separate box room with plenty of storage. The rent is only $1,995 per month with a 15 year lease. This business is ideal for a couple or a single operator with part time assistance. This is the first time this multiple award winning Post Office has been on the market for 16 years. It is situated in a very sought after location with a village type atmosphere. The business is well positioned with excellent parking in busy shop precinct. This busy Post office is continually showing solid growth and performs the full range of Post Offices services including Passports and Working with Children interviews as well as a comprehensive range of ID Checks state. It is a large shop with a good presentation. There is a separate box room with 616 boxes installed and plenty of storage. The rent is only $1,625 per month with an 18 year lease. Commissions are in excess of $250,000 per year.. This business is ideal for a couple or a single operator with part time assistance. This modern 3 Terminal Licensed Post Office is fitted out to the latest Australia Post requirements. All normal Post Office services are performed here including Passports, Working with Children and ID Checks state etc. This business is showing consistent growth and the adjusted Nett profit this year is expected to be $290,000 plus. There are 359 boxes installed and all are let. This business is well positioned with excellent parking in busy shopping strip with large Woolworths supermarket next door. This business is ideal for a couple or a single operator with part time help. A 2 terminal Post Office that is currently run by 1 operator who works very hard at specific times of the day. The current owner has had the business for 20 years and owns the freehold - a very good lease is available. There is a strong opportunity for a couple to operate the business on the basis of 1 person with part time help. By doing this it would create huge opportunities for additional services which are not currently offered by this outlet. This modern 2 Terminal Licensed Post Office is fitted out to Australia Post requirements. Situated in a sought after area with good parking and a constant flow of customers and passing traffic. All normal Post Office services including Western Union. There are 185 boxes installed. The shop is spacious with separate store room, office and plenty of room for parcels. Rent $550 per week plus GST. 5X5 Lease. This business is ideal for a first time buyer who is looking for something to build further on.